Patients seeking treatment for mental health concerns often meet criteria for more than one disorder. Despite high rates of comorbidity, most evidence-based interventions are designed to address a single disorder (e.g., panic disorder, generalized anxiety disorder, major depressive disorder). This practice is problematic because it forces clinicians and patients to choose which disorder to focus on in treatment, possibly at the expense of care for co-occurring conditions. For example, consider a patient with social anxiety disorder who also reports symptoms of generalized anxiety disorder and major depressive disorder. In order to address all three conditions, a clinician may need to use three different treatment protocols corresponding to each diagnosis in order to provide evidence-based care. In addition to unnecessarily lengthening treatment, the use of single disorder protocols (SDPs) forces clinicians to learn many different protocols in order to address the full range of diagnoses they treat; this training burden may lead clinicians away from empirically supported treatments because it is time-consuming and costly to learn them. As a result, the SDP approach to psychotherapy has hindered short-term, targeted care, and slowed dissemination efforts. Transdiagnostic treatment represents a promising alternative to SDPs. 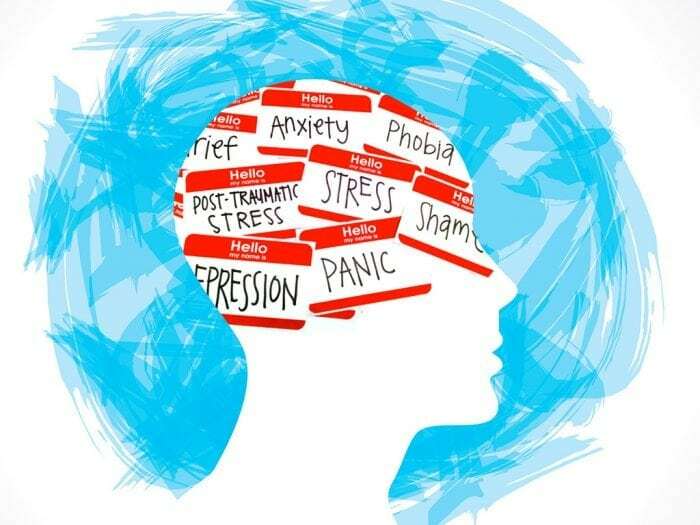 Transdiagnostic psychotherapy was developed to target the underlying mechanisms hypothesized to be involved in the onset and maintenance of psychopathology. For example, neuroticism (the tendency to experience negative emotions, coupled with the perception that these experiences are uncontrollable and aversive), is an identified mechanism involved in many commonly treated emotional disorders (e.g., anxiety, depressive, substance use disorders). By targeting shared underlying mechanisms contributing to the maintenance of psychological disorders (rather than surface level, self-reported symptoms), it may be possible to target comorbid conditions simultaneously. The Unified Protocol for Transdiagnostic Treatment of Emotional Disorders (UP; Barlow et al., 2011, 2018) is a transdiagnostic treatment with a growing body of support (Barlow et al., 2017; Bullis et al., 2014; Ellard et al., 2010; Farchione et al., 2012). Most recently, the UP was tested in an RCT and showed equivalence with SDPs (Barlow et al., 2017), suggesting that a transdiagnostic approach is equally efficacious in addressing principal diagnoses as more targeted SDPs. The current study (Jarvi Steele et al., 2018) aimed to address the limited research conducted on the effect of transdiagnostic treatments on comorbid psychopathology. In a sample of 179 adults, we compared the efficacy of the UP to several existing and commonly used SDPs for the treatment of comorbid emotional disorders, such as social anxiety disorder, panic disorder, and generalized anxiety disorder. Treatment was conducted over the course of 12 (for panic disorder) or 16 weeks (for all other disorders) and involved weekly individual psychotherapy. Results indicated a high prevalence of comorbidity in the sample; 150 (83.80%) participants presented with at least one comorbid emotional disorder in addition to their primary diagnosis. Additionally, we found that participants in the UP condition exhibited a significant drop in the average number of clinical diagnoses at posttreatment (i.e., the end of the active treatment phase of the study) compared to the number of diagnoses met during the initial assessment (i.e., before active treatment began). Finally, no significant differences were observed between treatment conditions, suggesting that the UP performed just as well as established SDPs in the reduction of comorbid emotional disorders. Further research is, of course, needed to explore how changes in underlying mechanisms might relate to broader changes in presenting symptoms and whether these treatments (UP vs. SDPs) achieve comparable results in a similar fashion. Results from the current study have important implications for continued examination of the UP, and other similar transdiagnostic approaches, which offer a streamlined, mechanism-informed approach to treating the emotional disorders clinicians routinely see in clinical practice. Dissemination of science-based psychotherapy may benefit tremendously from simplified training in gold standard approaches (e.g., doctoral students are tasked with learning one approach rather than a different approach for each disorder), and reduce the patient burden and cost of finding and receiving sound psychological treatment backed by science and flexible across clinical settings and diagnostic presentations. These findings are described in the article entitled Efficacy of the Unified Protocol for transdiagnostic treatment of comorbid psychopathology accompanying emotional disorders compared to treatments targeting single disorders, recently published in the Journal of Psychiatric Research. This work was conducted by Stephanie Jarvi Steele, Todd J. Farchione, Clair Cassiello-Robbins, Amantia Ametaj, Sophia Sbi, Shannon Sauer-Zavala, and David H. Barlow from Boston University. Stephanie Jarvi Steele is a postdoctoral fellow at the Center for Anxiety and Related Disorders at Boston University. Dr. Steele's research has focused on further understanding the psychiatric correlates that maintain self-injurious thoughts and behaviors.